NZCCSS has given its support for the overall intent of the Bill which for the first time in this country’s history sets out a process for measuring and planning to reduce child poverty into legislation. Setting measures and targets in legislation to reduce child poverty is a vital step towards improving the lives of hundreds of thousands of children in New Zealand. It is also an important way to ensure child poverty becomes the central focus of government policy today and in the future. New Zealand has enough resources to support living standards at a level that ensures every child and their family/whānau has access to the necessities of life. Governments across the political spectrum must take on board this responsibility to ensure all children have opportunities to grow and flourish, and to fully participate in their communities. The NGO sector has a vital role to play in implementing strategies to reduce child poverty. It will take the sustained involvement of government and all-of society and although the Bill does not refer to this, it is critical the NGO social service/community sector is involved in the development and implementation of child-poverty reduction strategies. The absence of any reference to Te Tiriti O Waitangi seems a significant omission given the Crowns obligation to the Te Tiriti O Waitangi and to the protection of tamariki Māori, who remain disproportionately represented in child poverty statistics. The Bill also does not include reference to the United Nations Sustainable Development Goals (UNSDG), specifically the goal “halving poverty rates for all ages by 2030, based on national measures” (SDG #1.1), a goal that clearly does align with the aims of the Bill. There are also no references to both the United Nations Convention on the Rights of the Child (UNCROC) and the United Nation Convention on the Rights of Person with Disability (UNCRPD), both of which are important international commitments our country has signed up to. The Bill rightly recognises that there is no single measure that can capture the complexity of a defining and measuring poverty by including a range of measures (income-related measures, severe hardship measure and a poverty persistence measure (yet to be defined). 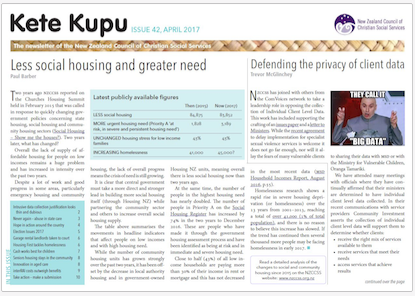 Further specific targets should also be included to measure poverty reduction among tamariki Māori and Pacifika children and children with disabilities (or who have parents with disabilities). 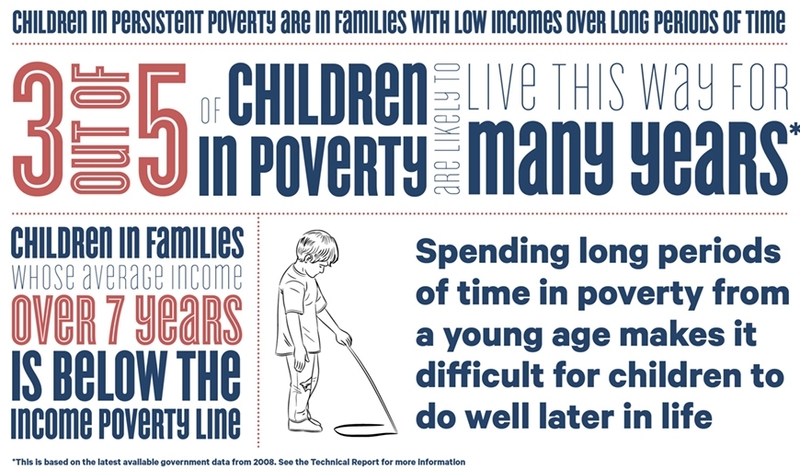 The was identified in the report of Expert Advisory Group on Child Poverty in 2012. 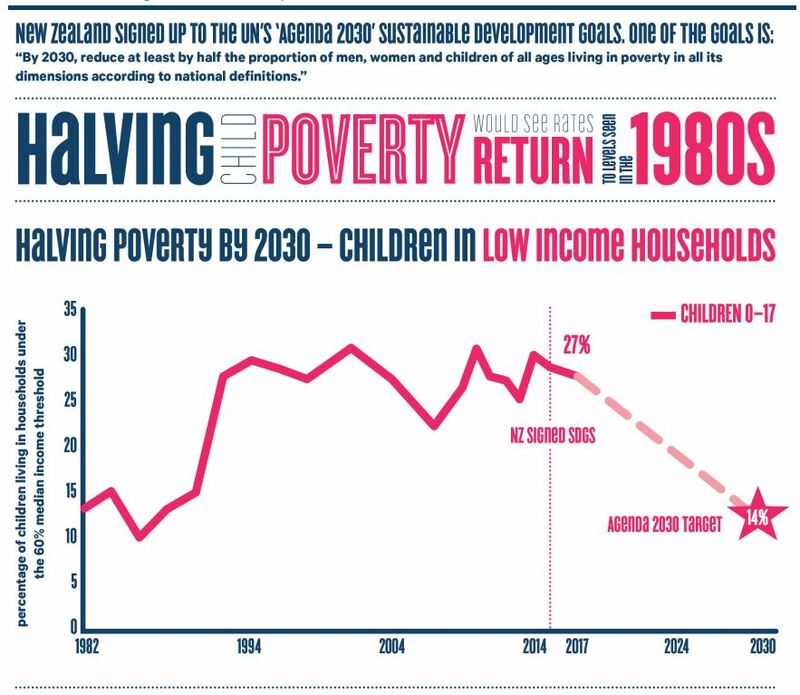 NZCCSS’ submission also recommends considering a national public awareness initiative to educate all New Zealanders on the full impacts of poverty over the life span of a child, and why alleviating child poverty benefits everyone in our communities. There is no currently available measure of persistent poverty, with the most recent measure used in the Child Poverty Monitor based on data from 2008. It will be important to involve broad range of stakeholders across NGOs, government, and academia in developing the new measures of poverty persistence. Regardless of the technical problems involved in developing new poverty measures, this should not delay implementation of poverty reduction policies. Much of the data needed to report on the poverty measures in the Bill will not be available until 12 – 18 months after the legislation comes into effect. It will be important to aim to shorten the reporting time lags without compromising the quality of the analysis and reporting. .
NZCCSS is recommending that the annual reporting including Government Statistician’s Annual Report also include data on children with disabilities and parents/carers with disabilities as well NGO data to provide a broader a community-services perspective on the impact of child poverty initiatives. 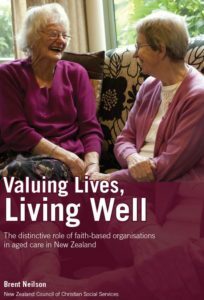 NZCCSS fully supports re-naming the Vulnerable Children’s Act and the intention to develop a Child Wellbeing Strategy, and recommending that it be called a “Child and Family/Whānau Wellbeing Strategy”. Such a strategy would better reflect a Kaupapa Maori worldview and a preventative health model which views a child as part of their family/whānau and community context. 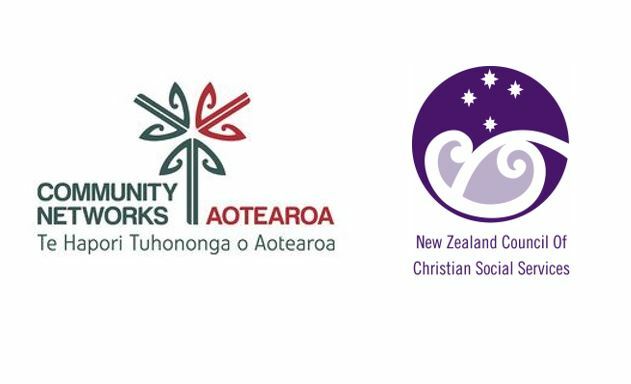 It is also vital that Oranga Tamariki works together with NGO and community groups in developing the strategy, as well as how it will be translated into policy, action plans and specific allocations of public expenditure. Of special concern for our networks is how children outside of the threshold for statutory care will have access to necessary services and support. Read the full NZCCSS submission on our website on the Submissions webpage.